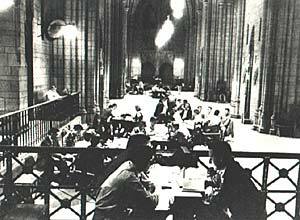 Our classmates talk to you about life at Pitt in the '50s and our Homecoming Reunion where we hope to merge the Past & Present. Dave Snyder '60. . .
What is the sociocultural operational definition of 'dupa'? The ending of the ditty 'C Line forever, loyal and true, C Line forever - D Line...? The top 3 college marching bands of the 50s were Pitt,___ and ___? Who was nicknamed 'Ironguts' and why?" Nancy Jones '56. . . Please consider coming to the dinner and joining your fellow alumnae. We can reminisce about the ZTA house, Spring Carnival shows, Founder's Day, Themis, rush, pledging, etc. Remember sharing the Tuck Shop booth with them? Do you remember freshman green armbands, Military Ball, Twelfth Floor teas, registration in the basement, the Red Tuck Shop, Senior Queen? Come join our party and find a new social group for those Golden Years. 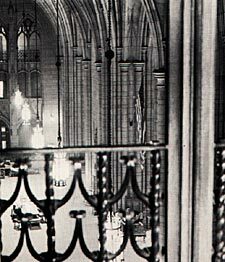 Pitt won't be marking the 50-year class reunions in the future, but we'll try with our small committee and meager budget. Join us. We promise a good time. See you there?" Dave Green '54. . . "Sigma Chis: Remember the excitement of the '50s? We moved out of the rented house on Fifth Avenue and into the house we bought on Bayard Street. We slaved to turn the place into a decent fraternity house. Sign up for the Sig tables, and share those great days with your friends."